What Australian Animal Are You? Whether you dream of petting a kangaroo or holding a koala, getting up close and personal with Australia’s wildlife is priceless. When you plan your trip with About Australia, we’ll lead you to the right places! Plan Your Australia Trip Today! Ever wondered what Australians eat Down Under? Though Australian cuisine is blended with many Asian and Mediterranean dishes, truly traditional Australian food lies in bush tucker, fresh seafood and something to soak up the ale. Not to mention the delectable pastries and sweets you’ll wish you knew about your whole life! Here are 24 Australian foods you have to try to eat like an Australian. You were probably expecting to see Vegemite listed 24 times in this article, but there’s more to Australian food than this controversial spread. But what exactly is Vegemite? It’s a dark brown spread made from vegetables, spices and yeast extract, making it more savory rather than sweet. The most popular way to eat Vegemite is on toast. It tastes extremely salty – just small amount will do. Even less than what you’re thinking. But who knows – you might be one of the lucky ones to fall in love with Vegemite the moment it graces your tongue. 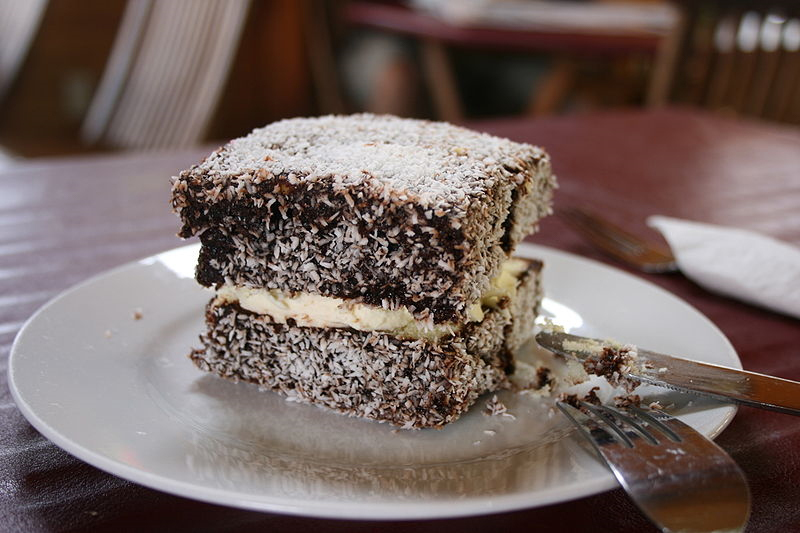 There’s probably nothing more heavenly than the sweet lamington. This small, rectangular sponge cake is lighter than a feather and more airy than a fluffy cloud. It really is a dream wrapped in a perfect cube of chocolate covered cake and rolled in coconut. This Australian dessert is a favorite with coffee or tea, and the pride of any baker. 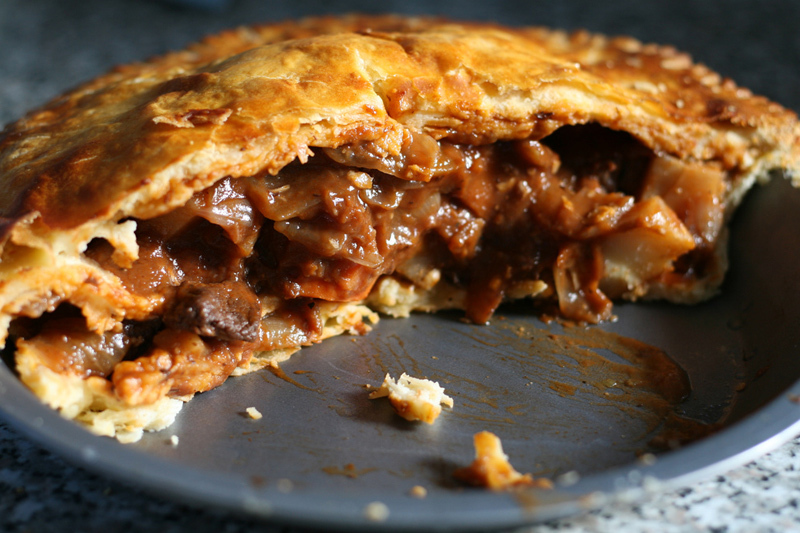 Pair a meat pie with a beer, at a sporting event or in the morning after a night out. This Australian favorite is made up of flaky pastry filled with minced meat and gravy, sometimes mixed with a variety of vegetables. It’s basically the Australian food equivalent of a chicken pot pie. This filling snack is perfect on the go or at a pub, and is quintessentially Australian. These sweet biscuits (the Australian way to say cookies) have become a favorite on our side of the pond for their chocolatey goodness. Never had one before? A Tim Tam is basically two chocolate-malted cookies with a layer of creamy chocolate filling sandwiched in between, all coated in melted chocolate. Walk into any Coles or Woolworths (supermarkets) and you’ll find huge displays of Tim Tams in a variety of flavors. Overwhelmed with options like mint chocolate, iced coffee, white chocolate, chewy caramel and more, you might have a hard time choosing. The most popular choice is the original, but you might like to play the Tim Tam challenge and try them all! Biting into one of these is like entering a chocolatey heaven. But for a truly transcendental experience, you’ve got to try the Tim Tam Slam. Bite the corners of the diagonal corners off the cookie and use it as a straw to sip on coffee or hot chocolate. Don’t worry – this isn’t an actual bug. Moreton Bay Bugs are more like lobster, and are often said to taste even better. You’ll find Moreton Bay Bugs featured in seafood dishes all over Australia. They are usually cut in half, drizzled in butter, oil, lemon or other seasonings and often grilled or barbecued. After one bite of these “bugs,” lobster won’t compare ever again. Do worry – this IS an actual bug. This small, white larva is found in the deserts of the Outback and has featured in traditional Aboriginal bush tucker for thousands of years. If you’re brave enough to give it a try, you’ll find it tastes like chicken. It also packs a powerful amount of protein – more than an entire steak. Witchetty Grubs are traditionally eaten raw, but they are also served barbecued as an appetizer. People like to joke and ask if you can eat kangaroo, and the truth is yes, you can totally eat kangaroo. In fact, it’s quite normal. Kangaroos are essentially like deer in the U.S. – they turn up on quiet plots of land, they like to jump out in front of your car, and they are quite tasty. Kangaroo meat is low in fat, often grilled on a barbecue to a rare to medium finish. Eat it on its own or in a burger – it’s not often you can say you’ve tried kangaroo! You could almost start a war between Australia and New Zealand over who first invented the Pavlova. It is said the desert was created in honor of Russian ballerina Anna Pavlova during her tour of Australia and New Zealand in the 1920’s, with both countries laying claim to its creation. This meringue based cake has a delicate, crispy outer shell and a fluffy, marshmallow-y center, topped with whipped cream and fresh fruit such as kiwi, strawberries and blueberries. This simple treat is a nostalgic favorite from Australian kids’ birthday parties. It’s simply slices of white bread cut into triangles, spread with butter and covered in hundreds and thousands (the Australian term for sprinkles). You likely won’t find fairy bread in stores or bakeries, probably because it’s so easy to make. This is the Australian food equivalent of dim sum, differing mostly in its tendency to come fried rather than steamed. These large dumplings are generally half the size of a fist and filled with minced meat and vegetables. Perfect as a bite-sized snack on the go. Chiko rolls are Australia’s take on egg rolls. They’re more doughy than the flaky egg roll, deep-fried and filled with beef and a variety of vegetables. These are often eaten as snacks on the go, found in local fish ‘n chip shops or by snack vendors at popular venues. Fresh fish lightly fried to crispy goodness paired with thick-cut chips (french fries to us on this side of the pond) is a must for those sunny Australian beach days. Wrapped in paper and seasoned with a bit of salt and lemon adds an undeniably satisfying touch to this classic Australian food. You’ll find fish ‘n chips in just about any pub or in a waterfront shop by the beach. This traditional soda bread was an Australian food staple of working class Aussies in the past. Its simple recipe lends itself to a quick preparation almost anywhere. It’s made up of wheat flour, water and salt, sometimes with baking soda, baked in the ashes of a campfire. This pastry is said to originate in France, but its exact origin is unknown. In French it’s called the mille-feuille, translating to “thousand sheets.” In English it’s known as the vanilla slice, a delicate dessert with layers of puff pastry and pastry cream or custard, glazed with powdered sugar or icing. Variations of the vanilla slice are found all over the world, but Australians lay claim to this sweet pastry. With an annual competition for the best vanilla slice baker held in the state of Victoria, the Australians’ passion for the vanilla slice definitely deserves them its ownership. Ready to slip some shrimp on the barbie? Well first off, Australians don’t call it shrimp – it’s prawns, mate. And whether you get them at a restaurant or grilled up at a barbecue, you can’t go wrong with prawns. With the freshest seafood found along Australia’s shores, you’re sure to get tasty prawns no matter where you try them. Emu meat is lean, low in cholesterol and high in iron and vitamin C. It’s a meat-lover’s dream, yet many people can’t get past the thought of eating this flightless bird. It’s commonly featured in Australian food, usually in burgers, meat pies and even as a pizza topping. Telling your friends you’ve tried emu is probably more bewildering than trying kangaroo, so don’t miss out on this tasty bird when you’re visiting Australia! This native Australian white fish is desirable for its delicate taste, succulent flesh, moderate fat content and rich nutrients. It even has less calories than salmon yet still packed with healthy fatty acids. The rest of the world is slowly catching on to this holy grail fish, but for now you’ll mostly find it served in restaurants across Australia. Simply referred to as a “parma,” this staple is a favorite on the pub specials menu. A parma is basically a schnitzel, or chicken fried in breadcrumbs, topped with tomato sauce and melted cheese. The best way to eat a parma is at a pub parma night, where you can grab a parma and beer for a decent price. Aussies love to add beetroot to their burgers, sandwiches and salads. You’ll definitely find this vegetable featured throughout many menus across Australia. Its nutty, earthy taste pairs well with sweet and strong flavors, adding a flair of creativity to any dish. Be sure to try a beetroot burger after trying kangaroo and emu burgers! Get a taste of Australian herbs and spices with bush dust. This mixture of Tasmanian native pepper, macadamia nuts, bush tomatoes, herbs and spices is perfect for bread dipped in olive oil or simply as a seasoning. Its deep red color is deceiving – this blend of spices has a mild, nutty taste, rather than hot or spicy. Try it on fish, chicken, potatoes or vegetables. Really it pairs well with almost any dish. These cookies have a history rooted in WWI. They were once made by the wives of the Australian and New Zealand Army Corps (ANZAC) and delivered to their men at war. Now these cookies are made in commemoration of ANZAC Day, April 25th, honoring those who gave their lives to the war. The delicious cookies are essentially oatmeal cookies made with golden syrup and desiccated coconut. This is arguably Australia’s greatest contribution to cuisine. At least, anybody with a sweet tooth will think so. Violet Crumble is one Australia’s most popular chocolate bars, with a crumbly honeycomb toffee center coated in chocolate. The texture of the honeycomb toffee is similar to malt candy, though much softer and delicate. It almost has a cotton-candy consistency once you bite into it. You’ll find Violet Crumble at just about any supermarket. Try it in ice cream to send your taste buds to heaven. Alright, so this isn’t food per se, but Australians are passionate about their coffee and are strong contenders for the best coffee in the world. One sip of their coffee and you’ll never be able to go back to Folgers. Even taking a barista course is an unspoken requirement before getting a coffee gig in Australia. Locals will proudly say you can’t find a better flat white anywhere else in the world, and they might be right. Stop into a local coffee shop (you’ll find dozens of local coffee shops in any city – locals tend to avoid Starbucks like the plague) and grab yourself a flat white. One of the highlights of experiencing a foreign land is trying its culinary delights. 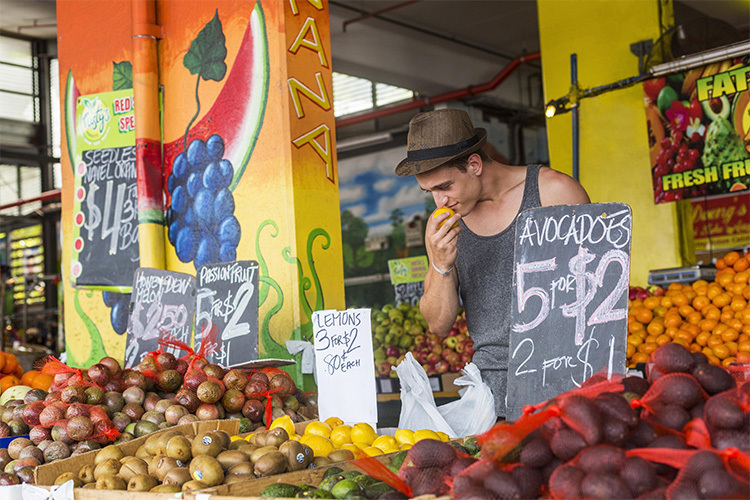 From snack foods to strange meats, give Australian food a try on your next trip to Australia. Need help planning your trip? That’s our full time job. Contact our Destination Specialists to begin your journey today. Ask us about our favorite Australian food! Plan Your Australian Trip Today! 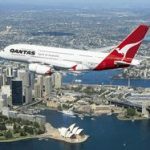 What is it Like to Fly to Australia From the U.S.? Many first time travelers to Australia feel a mixture of all sorts of emotions right before their trip. Excitement, anxiety, fear. You’re either scouring the internet for every single tip on traveling in Australia, or your plan is just to wing it. Your best bet is to embrace a little bit of both attitudes. Australia is such a dynamic country full of incredible sights. We promise there’s very little you should fear, and so much you should be excited about. To make your planning a little easier, here’s our list of 14 common mistakes to avoid when traveling to Australia. For some reason people have this idea that Australia is a rather small island. People think they can hop in a car and drive around the whole country in about a week. The problem is, Australia is about the same size as the U.S. Hitting the major hotspots such as Sydney, Cairns and Melbourne is like traveling from Miami to New York then Houston. Definitely not a road trip you want to blast through in just a week. Australia’s seasons are opposite to ours in the U.S. Their summer is our winter. The weather also varies throughout different parts of Australia. 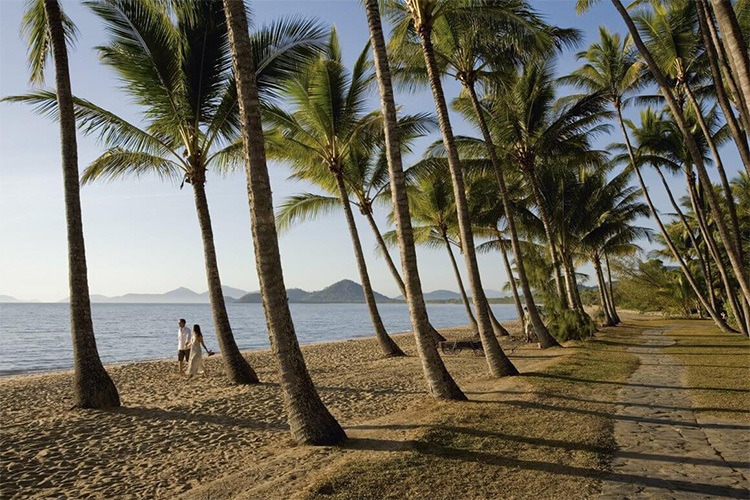 Up north in Cairns and the tropics the summer season is marked by frequent rains while winters are mild and dry. Down in the southern states of New South Wales, Victoria and Tasmania, the winters get a little colder. If you’re planning to hit up the beaches in Sydney in June, you might be in for a surprise! Check out our guide on the weather in Australia for a detailed look of the average weather throughout different regions of the country. It’s true that some of the joys of traveling to some place new is discovering its local delights on spontaneous adventures. 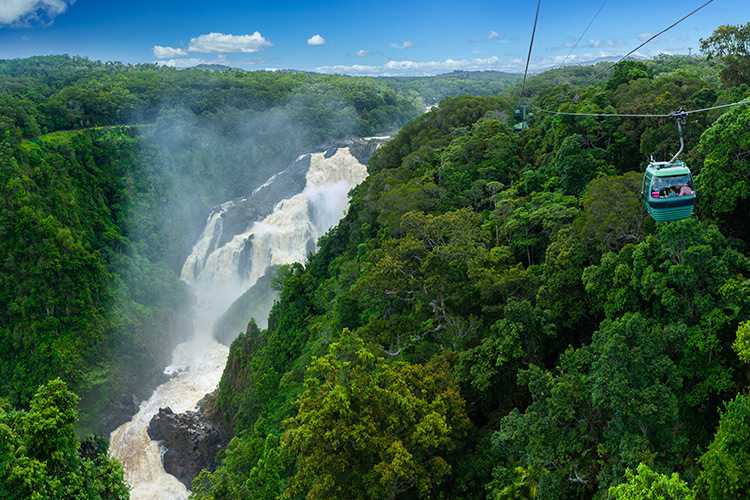 While this holds true for many parts of Australia, you’ll want to pre-book your bucket list items or you’ll risk missing out. 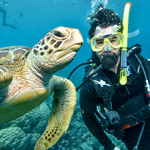 Snorkeling the Great Barrier Reef, visiting Sydney during New Year’s, riding The Ghan and other famous Australian rail journeys – these are things you absolutely need to book in advance before your trip. You’re traveling all the way to the other side of the world for some of these spectacular experiences. The last thing you want is to be disappointed on what should be the trip of a lifetime. 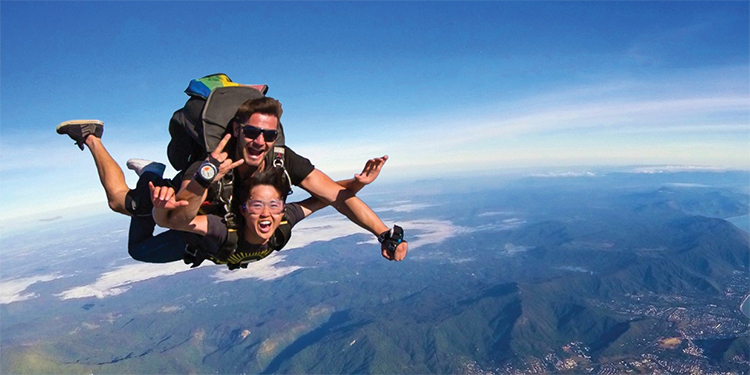 Not sure if your must-do adventure should be pre-booked? Talk with your About Australia Destination Specialist. It’s hard to resist the urge to cram a ton of things to do every day of your trip. 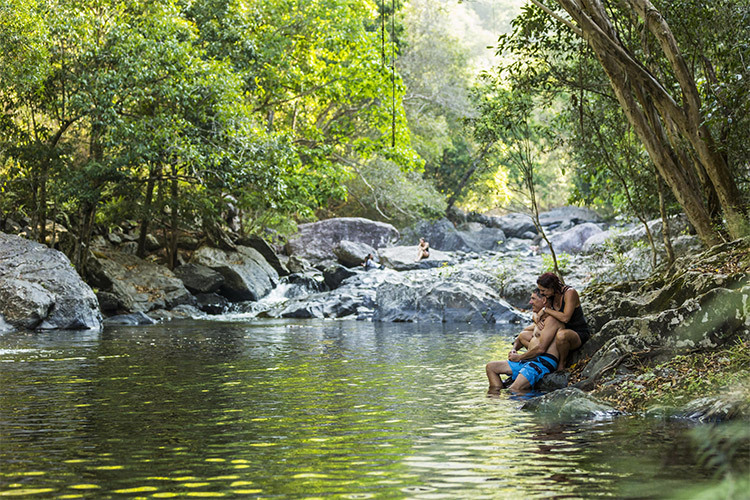 We totally get it – you want to see as much as you can with the amount of time you’ve got in Australia. But some down time is so important to pace your journey and take it all in. You don’t want to stretch yourself thin by being on the go all the time with no breaks in between. You’ll get easily stressed by trying to keep track of everything you have to do. It’s great to make sure you get to meeting points on time and not miss any departures. But you don’t want your head to be completely filled with logistics when you should be enjoying the moment. There’s no way around it – Australia is expensive. People tend to get sticker shock when they see the prices throughout Australia. Keep in mind, Australia is home to several cities that are consistently rated as the most liveable cities in the world. Prices will reflect that demand. You’ll want to save up a fair bit of money to use while traveling, as well as carry extra cash. Eating out ranges on average around $30 per meal, not including drinks. On the upside, tipping is not generally customary in Australia. The minimum wage starts at about $18.29 an hour and service workers don’t tend to expect tips. 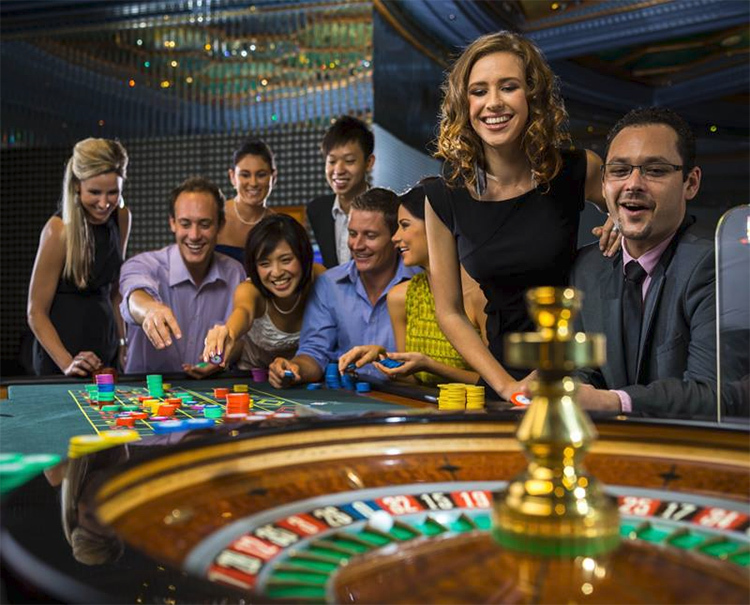 Definitely splurge here and there and let yourself have fun, but you’ll want to be careful about your spending while in Australia. For more about the currency and using credit cards in Australia, check out our guide on Australian currency. 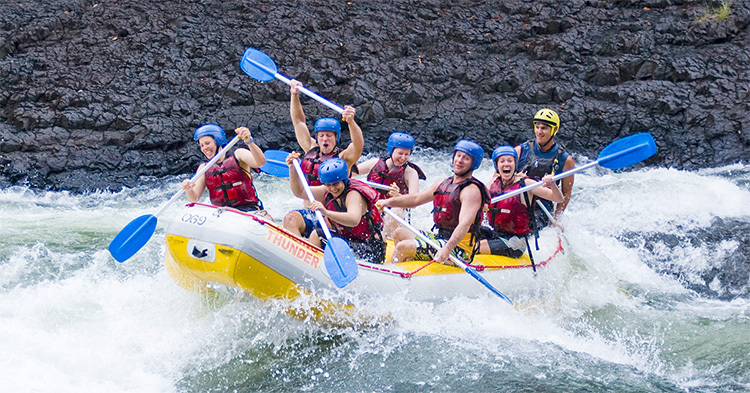 This is something you absolutely do not want to skip out on for any trip, not just Australia. Travel insurance covers a range of unforeseen events such as medical emergencies, travel delays, bad weather, lost luggage and much more. No matter how carefully you may plan your trip, sometimes things happen that are completely out of our control. Your trip is an investment – you don’t want to incur a complete loss should something happen. Imagine giving yourself one day to visit New York, then traveling to Chicago the next day, then San Francisco the next. You’d barely see anything! Australia’s major cities – even its small towns – have so much to offer, and you could easily spend days just exploring one city. You’ll also want to extend your stays to act as a base for exploring nearby regions. Sydney has the stunning Blue Mountains outside of the city and the Hunter Valley Wine Region a short road trip away. 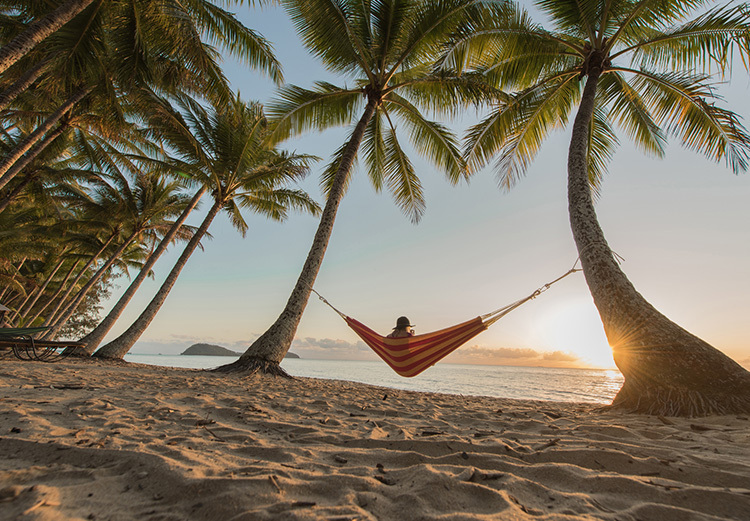 Explore the Great Barrier Reef one day in Cairns, then Daintree Rainforest – the oldest rainforest in the world – the next day. Think about allowing yourself a free day as well to explore each destination on your own. A good rule of thumb is to schedule big ticket tours at the beginning of your stay rather than later. This is mainly due to the weather, especially important for weather-related excursions. 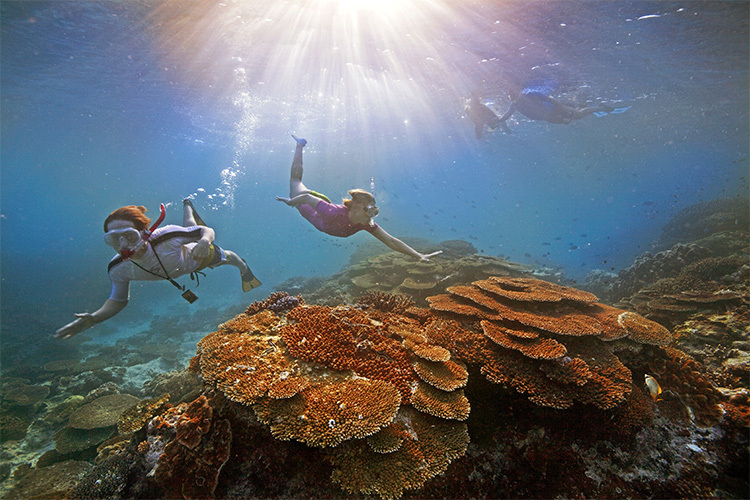 If you’ve booked a Great Barrier Reef cruise at the beginning of your stay in Cairns but the weather causes a cancellation, you’ve at least got the rest of your stay available to reschedule the cruise. Many tour operators are flexible in rescheduling your booking due to inclement weather, so it’s good to schedule these tours at the start of your stay just in case. Leaving these tours until the end of your stay poses the risk of missing out should anything happen. If you’ve ever fallen victim to over packing, hopefully you remember the utter unpleasantness that comes along with it. Lugging extra bags everywhere you go, forcing all your weight down on your suitcase and praying you can zip it at lease most of the way. Not to mention having no extra room for any souvenirs! But another pit fall of over packing is going over the airline luggage restrictions and risk having to shell out extra cash for your bags. We recommend booking all your flights within the U.S. and Australia on the same ticket which increases your luggage allowance to two checked bags. Australian domestic flights have strict carry-on limits, so an extra checked bag for free comes in handy. 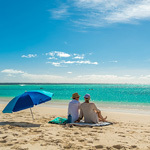 Your About Australia Destination Specialist will do this for you whenever possible. Also, many hotels throughout Australia are apartment-style and include laundry units within their rooms. This way you can pack light and still have clean clothes throughout your journey. Check out our guide on what to pack for Australia to help you figure out what to bring and what to leave behind. People hear “Australia” and think they’ll be coiled to death by snakes and eaten by spiders. But you’re more likely to get injured by a horse than all Australia’s venomous critters combined. Even then, the only places you might actually come across these dangerous creatures are in carefully maintained wildlife parks and zoos. You definitely won’t see any snakes or large spiders in the cities, or any kangaroos and koalas in the wild, either. There’s a chance you might spot some native wildlife in more open areas outside of city limits and in national parks. As with any wild animal, as long as you leave them alone they won’t bother you. It’s important to only interact with wildlife in the presence of a professional wildlife handler. That’s how you’ll get those special opportunities to hand-feed kangaroos or take a picture with a koala. And no, drop bears are not real! It’s way better to overdo the sunscreen in Australia than to under-do it. It’ll save you a world of pain. Australia receives extraordinarily high levels of ultraviolet radiation due to its close proximity to the hole in the ozone layer over the Antarctic. This lack of extra atmospheric sun protection makes sunscreen application essential. You’ll want to make sure you use a broad spectrum sunscreen protecting against both UVA and UVB rays. 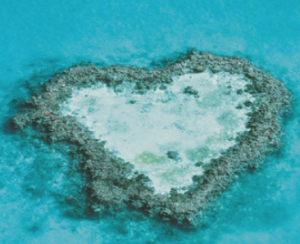 If you’re heading to the reef, you’ll also want to be sure your sunscreen is reef safe. Tip: When out on the reef, don’t forget to apply sunscreen to the back of your knees! Aussies are some of the friendliest people you’ll ever meet. Don’t be afraid to strike up a conversation and let yourself open up. You’ll get the best tips on local secrets such as the best places to grab some food or drinks, as well as extra advice on any places to avoid. Besides, a new Aussie friend is a great reason to plan a return trip! There are no roads, bridges or tunnels connecting Australia to New Zealand. The only way to get there is on a flight, just about 4 hours long. New Zealand is an incredible country on its own and deserves at least a two week trip to see the highlights. If you have enough time to see both countries, combing the two makes for a fantastic vacation. But New Zealand is vastly different from its neighbor, and we recommend planning a separate trip if you only have a limited amount of time for your vacation. Planning a trip is stressful enough, and sometimes the anxiety of being in a foreign country makes it easy to let the small stuff get to you. But you’re in one of the world’s top bucket list destinations – don’t let minor setbacks ruin your whole trip. If you plan your trip with About Australia all the small details will be taken care of, and if you’ve got travel insurance, all the big stuff will be covered. Planning a trip to Australia may seem daunting at first, but it’s rather easy to avoid these common mistakes. As long as you keep these tips in mind, it’s actually quite difficult to ruin your trip. 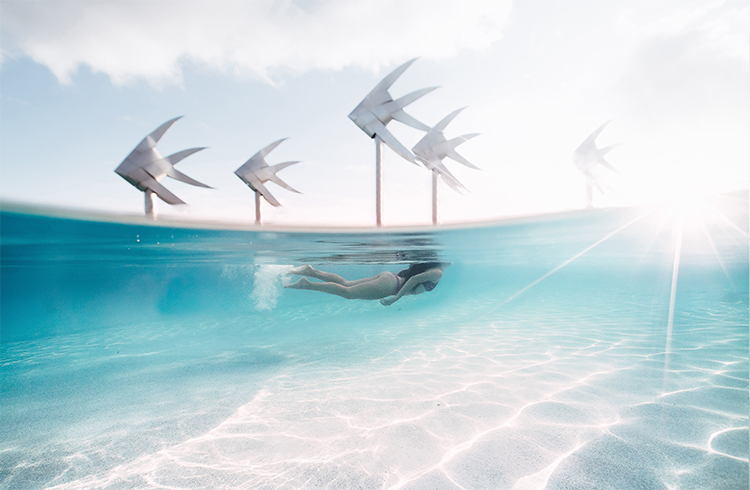 It’s all a matter of researching your destinations and getting in touch with an About Australia Destination Specialist for extra insider knowledge. Once you’re ready to plan your trip, we’ll make sure the process is a breeze. If it’s your first time traveling to Australia, you’re probably landing in Sydney. The moment you step off that plane – right at sunrise – you’re going to want to make a beeline for your hotel and fall face first into your bed. But that’s a terrible idea. Not only will most hotels not have check in until at least 2pm, but you’ll want to stay up to avoid jet lag. Luckily, Sydney is filled with countless things to do right as you step off the plane. And there’s nothing better than diving headfirst into this beautiful harbour city in all its splendor by exploring its dynamic harbourfront. We’ve made it easy for you with these things to do around Sydney Harbour. With extensive grounds of beautifully manicured lawns and gardens, the Sydney Royal Botanic Gardens are a tranquil escape right in the heart of the city. Its many trails are perfect for getting your bearings and taking a leisurely stroll with fantastic views of the harbour. Walk through the Mrs. Macquaries Road footpath to Mrs. Macquaries Point, a picturesque headland jutting out into the harbour. Take a seat on the famous Mrs. Macquarie’s Chair for one of the best views directly across the Sydney Opera House. Continue along the waterfront for more fantastic scenery. With the white Opera House sails set against the Sydney Harbour Bridge across the harbour, you’ll no doubt be stopping for pictures every step of the way. The gardens are home to an array of stunning native trees, plants and flowers with lawns dedicated to each. Grab a snack or pack a picnic lunch and rest on the Flower Bed Lawn, a clearing of verdant green grass dappled with towering trees and exotic plants. Stop by the Main Pond for a chance to see the resident eels (don’t worry, they’re harmless!). Head toward the Rose Garden Beds for a charming pavilion lined with roses, complete with a statue of Cupid to accentuate its loveliness. 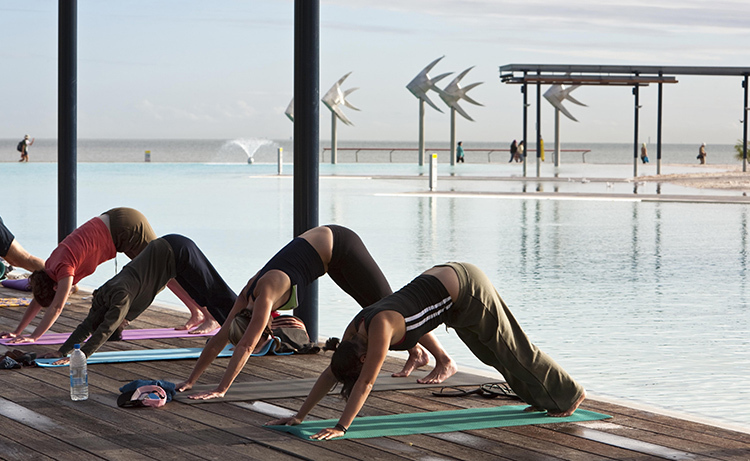 You’re bound to see locals getting in their morning jog and other groups simply enjoying the resplendent grounds. Learn more about the garden by joining a free tour, hopping on the garden’s Choo Choo Express or take a guided tour led by an Aboriginal leader and taste Aboriginal bush food found in the gardens! 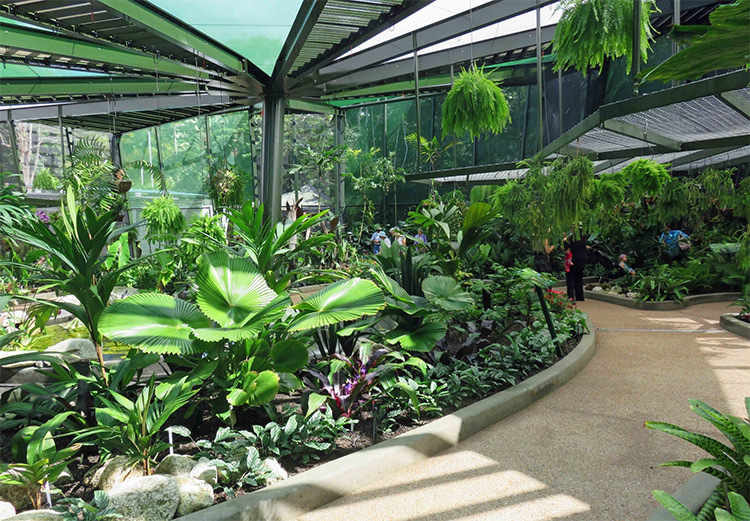 From the Botanic Gardens you can easily reach the Sydney Opera House. As you take your first steps toward the towering sails, you’ll feel the draw of this undeniably mesmerizing icon. This is the face of Sydney, its main feature recognized around the whole world. Seeing it for the first time is an experience in and of itself. So, bask it all in. You definitely won’t be the only one. This architectural wonder draws millions of visitors each year – and as such a unique structure set against one of the most picturesque harbours in the world, it’s no mystery why. Join a tour to get an inside look at the Opera House with an expert guide detailing the history of the building. You’ll get an exclusive look at the interior of the concert halls – perhaps you’ll want to catch a show here later! Right down the Sydney Opera House is Circular Quay, the hub of Sydney’s harbourfront action and gateway to iconic attractions. This is where many cruises, ferries and water taxis depart, connecting visitors to the Opera House, Harbour Bridge and the historic Rocks District. Here buskers tickle out tunes and impress crowds with unique performances. Pop-up restaurants and one-of-a-kind events set up shop along the Quay. Not too long ago, Jeff Goldblum set up his Chef Goldblum’s food truck serving up free hot dogs in the Quay! Lining Circular Quay is a progression of fantastic waterfront restaurants promising an essential Sydney experience – excellent food paired with unbeatable views. Grab a spot at Opera Bar, often lauded as the best beer garden in the world. Perhaps the sweeping panoramic views across the harbour steer the scales in its favor. Peer over from the ledge of the Opera House’s promenade and you’ll spot vine-laden umbrellas perched over tables and bar stools. Order a cocktail or a glass of fine Australian wine and settle into the seats curving along the water’s edge . For a special occasion, reserve a spot at Aria, only minutes away from the Opera House. Enjoy a delectable four course menu and extensive wine list, both highlighted by sublime views out from the glass walls. This Sydney staple houses Australian and international contemporary art along with touring exhibitions. Get a glimpse of modern artworks produced around the world today and let your inner artist get lost in the thought-provoking collections you’ll encounter here. 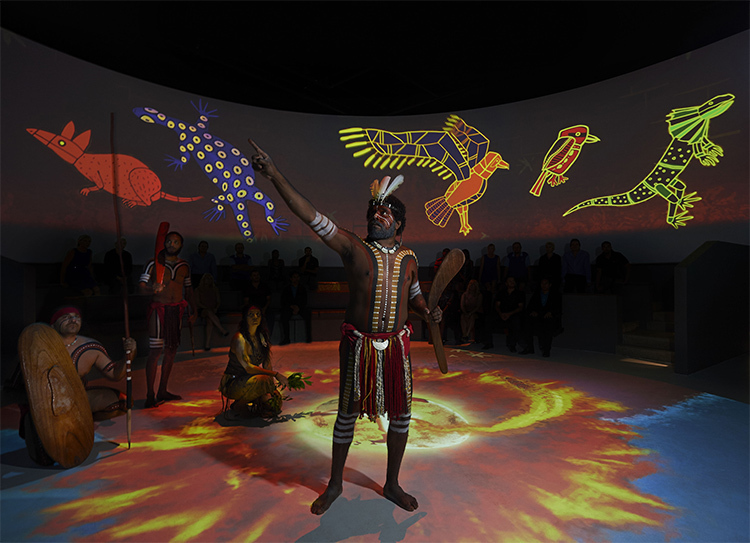 See breathtaking exhibitions by Aboriginal artists, brimming with color and spirituality. Take in puzzling artworks, bemusing at first, but always with something to take away. The Museum of Contemporary Art will at once welcome and challenge your notions of art and stimulate your imagination. If you’ve never given contemporary art a chance, this is the perfect place to give it a go. Cobbled laneways cut through some of Sydney’s oldest pubs and historic buildings. Structures gleam with their original eighteenth century colonial architecture, standing proud with their gabled roofs. This is The Rocks, site of Sydney’s first settlement in 1788. Brimming with a colorful history of convicts, soldiers and sailors, this is the perfect place to learn about the history of Sydney. Many walking tours detailing the history of the area are available, some with a focus on Aboriginal history, convict stories or even pub walks. Who wouldn’t want to grab a pint in some of Sydney’s first bars? Amble over to The Rocks Markets for enticing street food and boutique local shops, celebrating authentic local foodie experiences. The markets recreate a feel reminiscent of the bustling commons that once thrived in eighteenth century Sydney. Discover locally crafted clothes, jewelry and homewares along with gourmet food, artisan meats, cheeses and sweet treats mingling their delicious scents within the air. Learn more about The Rocks before European settlement at The Rocks Discovery Museum. Housed in a restored 1850’s sandstone warehouse, here you’ll find unique exhibitions showcasing images and artifacts found in The Rocks – some of which you can even hold. The best part – it’s free! You can’t go to one of the world’s most gorgeous harbour cities and not go on a cruise. In fact, it’s a Sydney rite of passage. Lunch cruises, dinner cruises, ferries and water taxis – the options are almost unlimited. Get the glamorous harbour cruise experience with a dining cruise. With breakfast, lunch and dinner cruises available, enjoy a spectacular meal any time of the day with million dollar harbour views. Explore more of Sydney and the sparkling harbour aboard a sightseeing ferry. We like to recommend our clients to get their hands on a Hop On Hop Off 2-day ferry pass for an easy cruise across the harbour highway to 10 famous Sydney stop overs, including Circular Quay, Darling Harbour, Taronga Zoo, Luna Park, Barangaroo and others. This lively precinct is home to fun tourist attractions, trendy waterfront dining experiences as well as premier Sydney shopping. 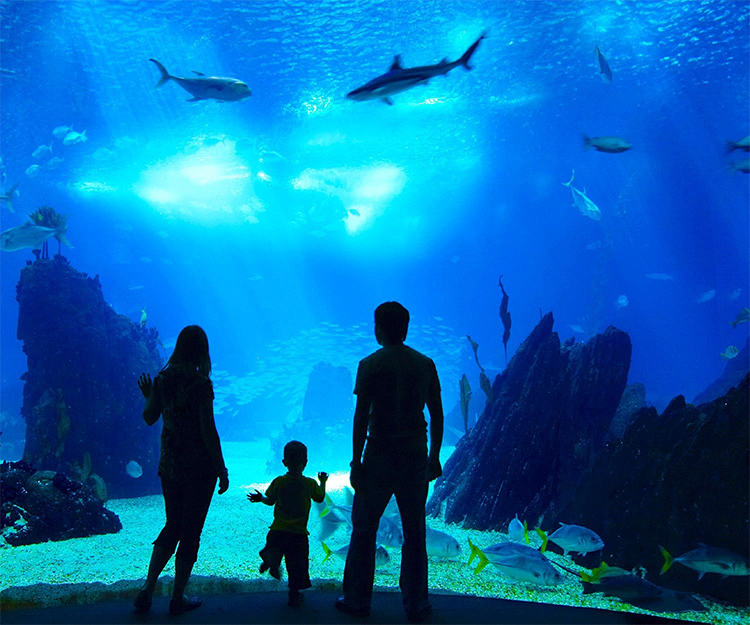 Meet incredible aquatic species at SEA LIFE Sydney Aquarium, one of the largest aquariums in the world. Discover dugongs, sharks, penguins and tropical fish in the aquarium’s differently themed zones. Touch sea stars, shark eggs and coral at the Discovery Rockpool, and get a look into the prehistoric marine life from the dark depths of the ocean at Jurassic Seas. Stroll down along Darling Harbour to the Harbourside Shopping Center, where the exciting buzz of Darling Harbour emanates from its waterfront dining and boutique shops. Here you’ll find anything from familiar places to grab a quick bite to eat to waterfront steakhouses. 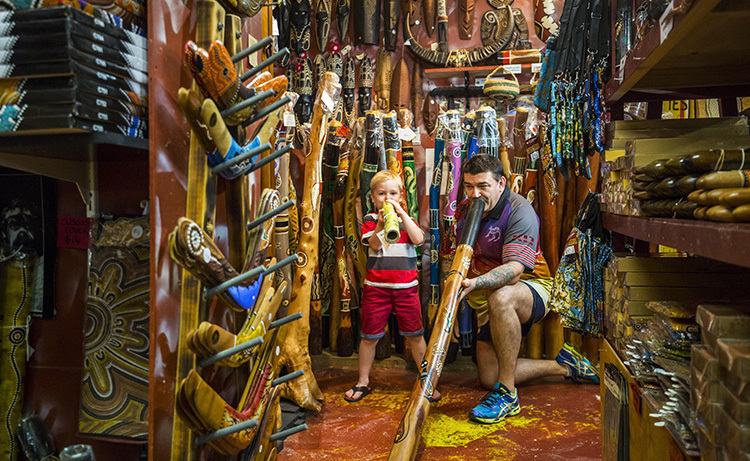 Grab some grub then browse the shops for a new Australian-made outfit or souvenir. Further along the harbour you’ll come across the Australian National Maritime Museum, where a wealth of seafaring and naval exhibitions provide a look into Australia’s coastal culture. Climb aboard a replica of Captain Cook’s Endeavor vessel, the tall ship in which he first landed on Australia in 1770. Learn stories about the passengers – settlers and convicts from the 18th century – and their voyages to a new life in Australia. With knowledgeable guides possessing an impressive passion for Australian maritime history, you’re sure to dive deeper into the history of Australia – so closely intertwined with the ocean. A popular stop on a harbour cruise is Taronga Zoo. With native Australian wildlife, rare exotic animals and breathtaking views of the cityscape across the harbour, Taronga Zoo might just be one of the most gorgeous zoos in the world. 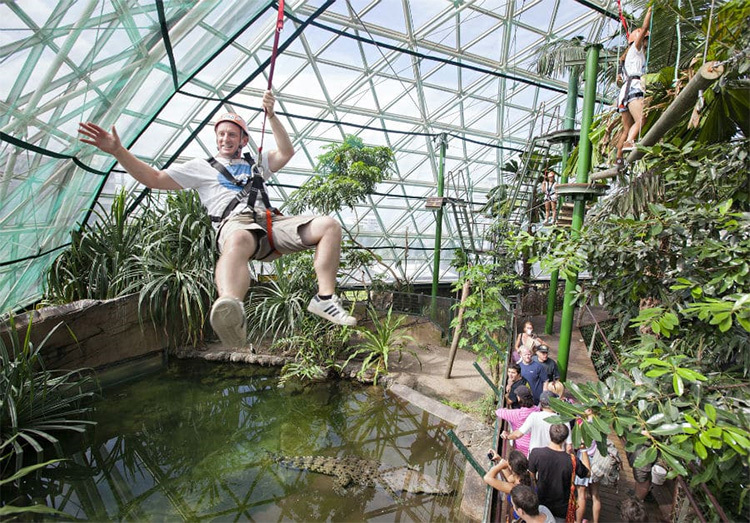 Start with a gondola cable car ride lifting you above the zoo, gliding over trees and bush with views across the harbour. Meet cuddly koalas, friendly kangaroos and their elusive tree-dwelling cousins, tree kangaroos. Get up close to the graceful Sumatran Tiger on the Tiger Trek, or see the magnificent Asian elephants. Visit the towering giraffes, who have arguably to best view across the harbour in the whole zoo. Home to over 340 species, you’re bound to find your favorite animal. Find a true boardwalk amusement park experience at Luna Park, another favorite stop on the sightseeing ferry. Situated across the harbour right along the water, that ferris wheel is guaranteed to have incredible views. Vibrant with colors and exciting rides for the kids, this is an essential harbour stop for families with little ones. But there’s an undeniable thrill that will strike your very core as you feel like you’re about to be flung into the harbour as you ride the Wild Mouse rollercoaster! Slide down steep slopes on the Devil’s Drop or spin into a frenzy on the Rotor. Wind down on the Carousel – an amusement park staple – or get lost in the dizzying Mirror Maze. Luna Park lets your inner kid go wild and immerse yourself in the nostalgia of the perfect carnival day. Past Darling Harbour is the iconic Sydney Harbour Bridge, an architectural feat to match the likes of the Opera House. Its famous steel arch has earned it the nickname “The Coathanger.” Luckily, it’s much more supportive than that. In fact, the bridge has eight traffic lanes and two railway lines with a pedestrian walkway on the eastern side of the bridge and a cycling track on the western side. Haven’t had enough of those gorgeous harbour views? Get a totally different perspective of Sydney Harbour at the very top of the Harbour Bridge arch on a BridgeClimb! An essential Sydney must-do, this exciting journey combines fascinating history detailing the making of the bridge with a thrilling climb over the arch. 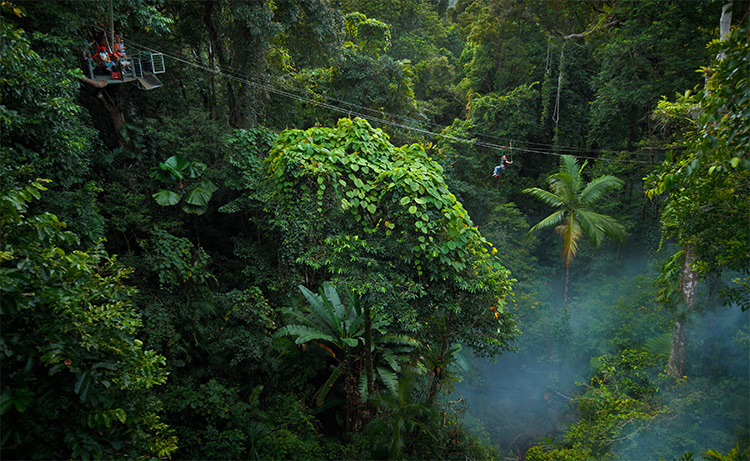 You’ll get fitted with a climbing suit, briefed in safe practices and set off in a group led by a bridge climbing pro. With morning, afternoon and evening climbs available, you can wake your senses with this invigorating climb or see the sunset glow cast over the harbour and Opera House sails. Besides, it’s not everybody who can say they’ve climbed the Sydney Harbour Bridge! Barangaroo is the new kid on the block. Or harbour, you could say. Once a site used for dumping shipping containers, this wasteland has transformed into a spectacular waterfront precinct. Quite the ugly duckling turned into swan story. The precinct is named after Barangaroo, an indigenous Cammeraygal clan leader from the Eora Nation living around the north harbour at the time of European colonization. She was revered as a free-spirited and strong-willed Aboriginal woman. Several accounts tell about her refusal to wear European clothing to a formal dinner with settlers and turned up painted in white clay with a bone through her nose. Just as Barangaroo held tightly to her indigenous roots, so does the idyllic parkland known as Barangaroo Reserve. This project is a testament to the achievable beauty of a congenial blend between urban renewal and nature. Barangaroo Reserve is a 14-acre natural sanctuary created with a mission to restore the endemic trees, plants and shrubs of the area. Join a walking tour through the picturesque reserve and learn about the different plants and their uses, led by a knowledgeable Aboriginal guide. Head down past Nawi Cove for exceptional Barangaroo dining. The strip directly facing the waterfront features ten unique, carefully selected restaurants showcasing some of Sydney’s best local cuisine. Indulge in Turkish share plates bursting with fresh flavors at Anason, and top it off with an authentic Baklava pastry. Treat your tastebuds to a feast of eclectic Australian flavors with an eight course tasting menu at Bea Restaurant, housed in the unique Barangaroo House. Pair your delectable dishes such as seared swordfish with bone marrow and wild barramundi with apple and brown butter with premium Australian wines. Order the Rocky Road for dessert for a chocolate experience out of this world! Sydney is a world-class city with a harbour unparalleled in adventures to thrill history buffs, foodies and daredevils alike. The number of things to do around Sydney Harbour are countless and promise incredible experiences uniquely Australian. The best part about exploring the harbour is that many of these sightseeing stop are some of the best free things to do in Sydney! Want more recommendations on things to see around Sydney Harbour? 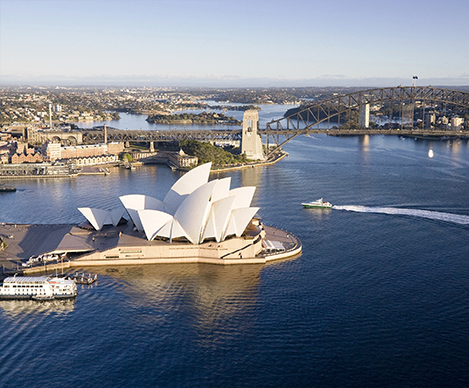 Connect with our Destination Specialists to plan your perfect Sydney visit on your trip to Australia. There’s a little slice of Australian paradise less than two hours away from Melbourne. Think pristine beaches perfect for surfing, incredible wildlife in their natural habitat and untouched, breathtaking coasts. One of the world’s largest colonies of fur seals and little penguins call this island home. The world-famous nightly Penguin Parade and Seal Rocks are premier attractions – you could almost say its the local wildlife that call the shots. Combining the best features of Australia’s natural beauty with its own unique charms, Phillip Island is best explored at ease. Here’s our guide on things to do at Phillip Island. The sheer beauty of Phillip Island’s coasts will take you breath away – you’ll need something to grab on to. Fortunately, the island features many coastal walks and trails, some complete with railed boardwalks. Wander along Woolamai Surf Beach to the Cape Woolamai Trail for truly dramatic views of the Pinnacles. This two hour walk rewards you with sublime scenery – rolling green landscapes crumbling into jagged rocks known as the Pinnacles, jutting up from azure waters. You might spot some wildlife along the way, including echidnas, wallabies and dolphins. During whale watching season you might spot a migrating humpback! Head to the westernmost point of the island past the Phillip Island Nature Parks toward Nobbies Centre. Stroll on the winding Nobbies Boardwalk stretching along the rugged southern coast. Turquoise waters crash against the green-clad rocks before you in a breathtaking display of coastal splendor. From the boardwalk you can see Seal Rocks, home to Australia’s largest fur seal colony. Home to over 25,000 fur seals, Seal Rocks is a natural haven where seals sunbathe, frolic and play in the cool water. Get a closer look at these friendly animals with a wilderness cruise out to Seal Rocks. The boat drifts within yards to the seal colony. Younger seals will often swim up to the boat to get a closer look at you, peering up as you peer down. Surrounded by hundreds of seals in the water, this close encounter with Australian wildlife is part of what makes Phillip Island so special. 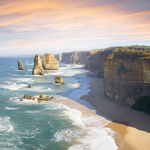 Phillip Island’s dynamic coastline features spectacular beaches and rugged shores. Calm, sheltered bays line the northern coast while wild surf breaks are found on the southern stretch of the island. As you first cross into the island you’ll spot the curve of Cape Woolamai, a sweep of golden beach set against ancient pink granite cliffs. 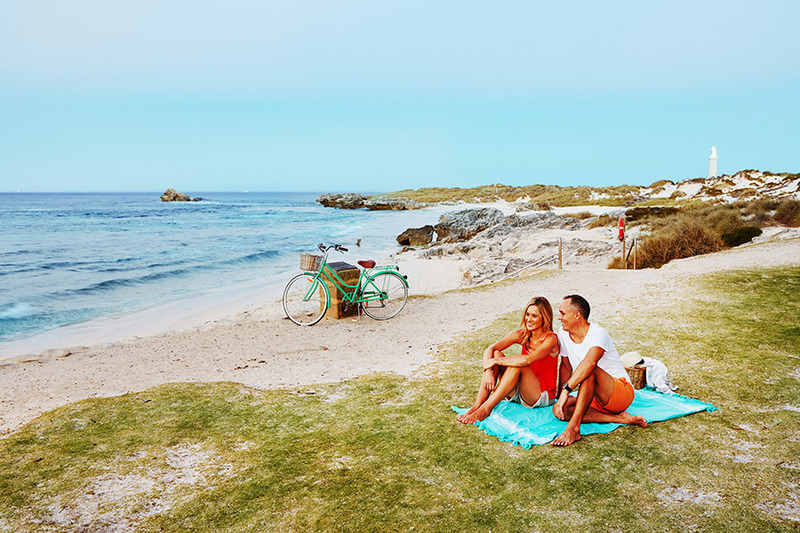 Woolamai Surf Beach is one of the state of Victoria’s most popular surfing beaches, with large curling waves attracting keen surfers. If you’re not one to pick up a surf board, the barreling waves are mesmerizing enough to simply gaze at from a soft spot of sand. Get a dose of surfing and wildlife all in one at Summerland Beach. Home to the famous Phillip Island little penguins, this beach is also hugely popular with the surfing crowd for its consistent year-round waves. Wildlife and waves – it doesn’t get more Australian than that. For swimming, you can’t go wrong with the seaside holiday vibe and shallow high tide of Cowes Beach. With changing rooms, showers and a picturesque jetty flanked by charming coastal eateries, Cowes Beach has everything set for the perfect beach day. As a small haven of native Australian wildlife, no trip to Phillip Island is complete without visiting the Koala Conservation Centre. This not-for-profit organization focuses on koala conservation and preserving their natural habitat. With knowledgeable rangers and educational information on display at the visitor center, the dedication and expertise of the Koala Conservation Centre will impress you. Here you’ll come face to face with koalas in their natural habitat. 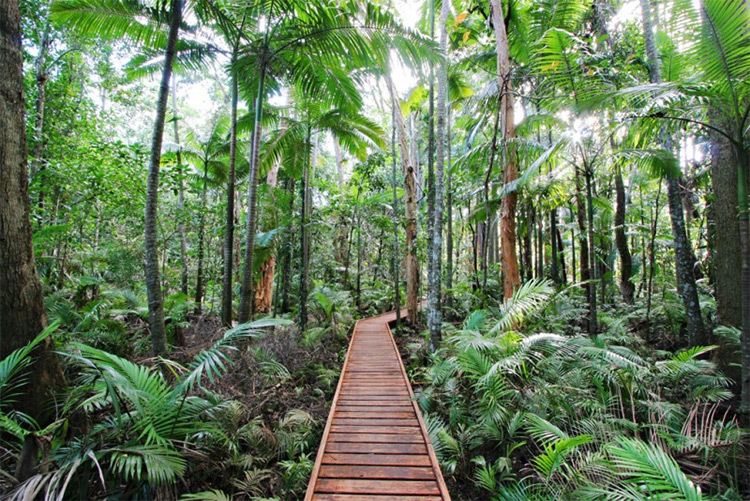 Wander through Australian bushland on tree top boardwalks at branch-level with sinewy Eucalyptus trees. The koalas are blessed with over 14 acres of pristine wilderness to call home – not something you’ll see in most wildlife parks. You’ll spot them hanging high among the trees, munching on leaves or dozing the day away. Take the Tree Top Koala Boardwalk for superb koala viewing. If they’re feeling active, they might climb down to lower branches only an arm’s length away from you. Many visitors report seeing up to 12 koalas in one visit! Below the boardwalks you might also spot other native wildlife, including wallabies, echidnas, rainbow lorikeets and other exotic birds. 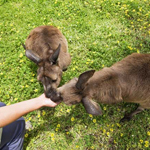 For more personal encounters with a larger array of Australia wildlife, head to the Phillip Island Wildlife Park. Here you can hand-feed free-roaming kangaroos, spot echidnas shuffling through grass and Tasmanian devils lazing about in the sun. As home to some of Australia’s most unique wildlife, some of these animals you might’ve never known existed! With over 60 acres of diverse terrain, every creature has a perfect slice of land to call their own. 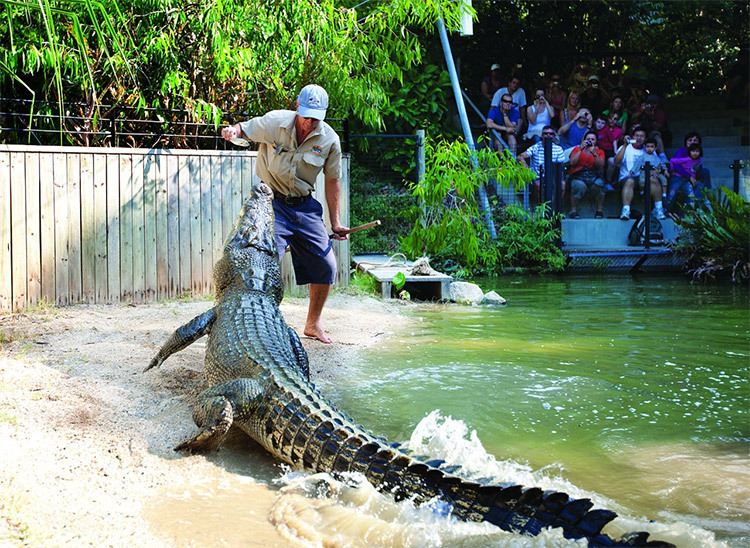 Other animals you’ll find here include reptiles, wombats, dingoes, emus, cassowaries and quolls. Pack a picnic lunch or enjoy some park snacks after meeting the furry locals. Don’t forget to stop by the gift shop to pick up a cute souvenir! Churchill Island might just be the closest thing to traveling back in time. Horse-drawn wagons roll past historic cottages set among tranquil gardens and orchards. Verdant green pastures are dotted with cows and sheep wandering from a restored 1850’s homestead. Sleepy mornings on this sublime island give way to lively afternoons filled with hands-on farming demonstrations. Watch an authentic sheep shearing, learn how to crack a whip and how to milk a cow. Catch the working farm dogs herd the cheeky sheep back to the farm. Grab a bite to eat at the Churchill Island Cafe, where country charm combined with local produce and breathtaking views of the sea create the loveliest dining experience. Or browse over 40 stalls of fresh, local produce at the monthly Churchill Island Farmers Market. Pick up a treat to enjoy while you take in the panoramic views across the island. Rustic splendor by the sea – Churchill Island is a quiet slice of paradise you never knew you needed. As the sun begins to set, the sands of Summerland Beach become a stretch of red carpet. Crowds gather to catch a glimpse of the Phillip Island famous. Out of the rolling curls of waves come forth hundreds of tiny tuxedoed penguins, waddling back home to their burrows in the beach. 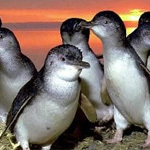 The miniature size of these little penguins is cuteness overload. They grow to an average of 13 inches, though some may seem as small as the palm of your hand. Phillip Island Nature Park oversees this nightly Penguin Parade, with the best seats in all the island on a custom-built viewing platform. You can get a closer look at the penguins in an underground viewing platform, where you’ll see them marching right past your eyes. You won’t catch any paparazzi at this show. No photography is permitted to protect the penguins, as bright flashes might scare or blind them. 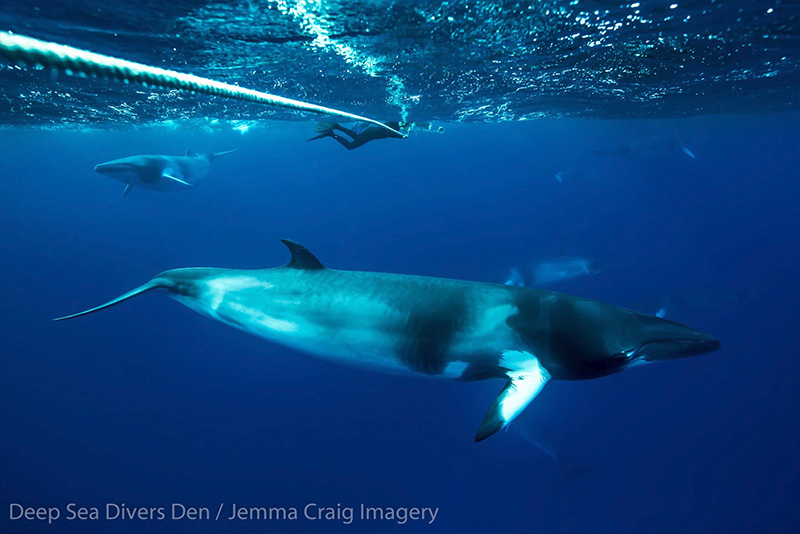 After all, the most remarkable wildlife interactions are best experienced as close to nature as possible. Phillip Island makes for a perfect break a whole world away from the hustle and bustle of Melbourne. Get back to nature with native wildlife and unforgettable scenery. Plus, how many people do you know that have seen a Penguin Parade?